*For breakfast, eat them over a bowl of cool yogurt. The fruit juices mix in, dressing up even the plainest yogurt. 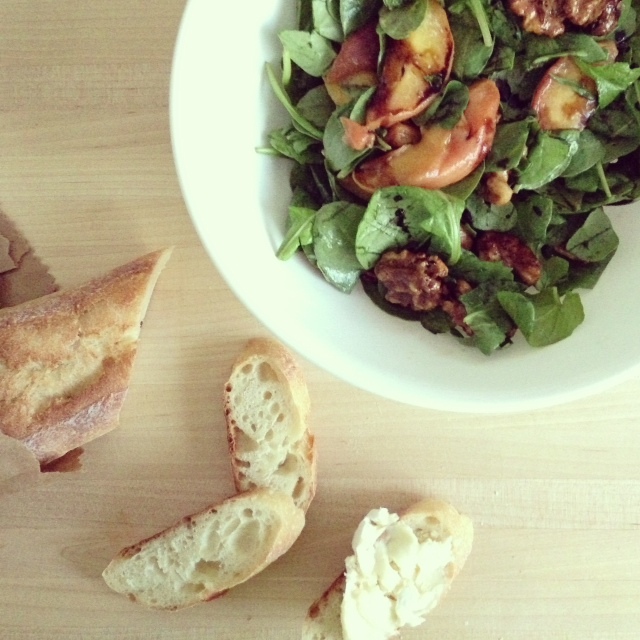 *For a fresh lunch, slice them up and toss them in a spinach, walnut and parmesan cheese salad. Serve with butter and a baguette. *For dessert, place half a peach on top of a warm shortbread biscuit with a big dollop of whipped cream. They’re so delicious, I could eat them plain straight out of the oven. My sister Sophie shares her easy recipe below. Ready in just three steps and in less than 20 minutes, you’ll have more time for warm evening strolls and general summer lounging. Half the peaches and pit. Melt 2 tablespoons of margarine or butter then mix in 1 tablespoon brown sugar. 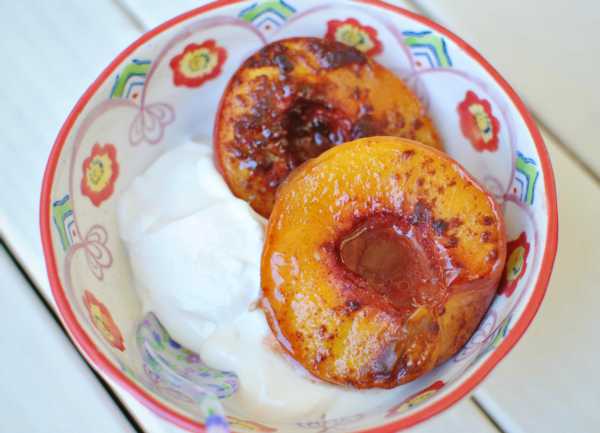 Drizzle over peaches, sprinkle cinnamon, then bake for 15-18 minutes at 400 degrees.